Wholesaling real estate can be a great way to get into real estate investing without much cash. It is also very low-risk when done right. But contrary to what many real estate gurus say, you can't necessarily do it anywhere. It will work best where there are investors ready to take the properties from you. This generally means it works best in larger towns and cities. To understand this, let's look at what wholesaling real estate means. As you might guess, it essentially is buying cheap to sell for a profit to another investor. This other investor is the one who will then retail the property to the final buyer. Now, if you were to actually buy a house or other real estate and close on it, you would have transactions costs. There would be more transaction costs when you sell to the next investor. Then there would be more transaction costs when he sold the property to the final buyer. As you can imagine, these costs would mean that you have to buy really cheap to leave room for a profit for you and the next investor. For example, suppose you find a seller who really wants to sell fast, and has a house worth $200,000. By the time you close, hold the property for some time, and sell, you might pay as much as $6,000 in various costs. The other investor may want to use a real estate broker to sell, so his costs might total $12,000 or more. If you wanted to make $5,000 for your efforts, and the other investor wanted to make $10,000, you would have to get the house for $167,000 (subtract all the costs and profit from the eventually sales price of $200,000). Of course, you won't be able to close many deals like this. The seller can probably sell fast enough just by dropping the price to $185,000, so why sell to you for less? As you can imagine, this isn't how real estate wholesaling is typically done. First of all, you won't typically close on a property. Instead, you will sell the contract to the next investor, and so avoid all the costs associated with your buying and selling the property. Secondly, wholesaling real estate works best with fixer-uppers. Sellers cannot easily sell these on there own without doing the necessary repairs, so they are willing to sell cheap to get rid of their problem. With these two things in mind, lets look at a more realistic example. Let's start at the beginning. You look at the market, do some research and decide that you may be able to wholesale properties where you are. You join the local real estate investor's club and get to know some people. In particular, you get the names and phone numbers of at least several investors who can make a decision quickly and want to buy fixer-uppers. You should also make a note as to the type of properties each is interested in plus how much profit they expect to make on a project. Now you go out to look for properties. Eventually you find a motivated seller who is asking $190,000 for a dirty house with problems. You compare it to others in the area and determine that it will be worth about $235,000 when it is cleaned and fixed up. It needs about $15,000 worth of work. Other costs, including a low-cost real estate broker, will run about $15,000, based on a holding time of about four months before it is sold and closed. You want to make $5,000 for your time, and your most likely investor wants around $20,000 profit in a deal. Subtracting these and the costs, you arrive at $180,000 ($235,000 - $15,000 - $15,000 - $5,000 - $20,000 = $180,000). This is the most you can offer. You start with an offer of $173,000 and eventually the seller agrees to $177,000. In the contract, after your name as the buyer, you put the words "or assigns" or something similar (ask a real estate lawyer for the language that is used where you are). This gives you the right to assign the contract to another investor, who will take your place and actually close the deal. Explain to the seller that this is so you can bring a partner in to be sure that the deal closes (in other words, make this a good point rather than a problem). You also put in the contract a financing contingency with specific terms. This could be something like "This offer subject to buyer obtaining a fixed-rate 30-year mortgage loan at 7.5% annual interest or less." Alternately, you can have a clause that requires the approval of your "partner" or some other way to cancel the contract if it won't work for you. You might also want to ask an attorney how to write a clause that makes your deposit "liquidated damages," meaning that is all the seller gets if you have to back out for any reason. With the proper clauses in the offer, all you risk is your time, and perhaps the $500 good faith deposit. Now you call your investor who will take your place, complete the repairs and retail the property. For $7,000 you assign the contract to him (however, he may not be willing to pay until the deal closes). If all goes well, he might sell the renovated property for $240,000 and make a profit of $25,000. Good for him - the more he makes, the more likely it is that you can wholesale real estate to him in the future. Your $7,000 profit requires very little investment or risk, however, so you are happy with the result as well. Wholesaling real estate is about speed as much as anything. 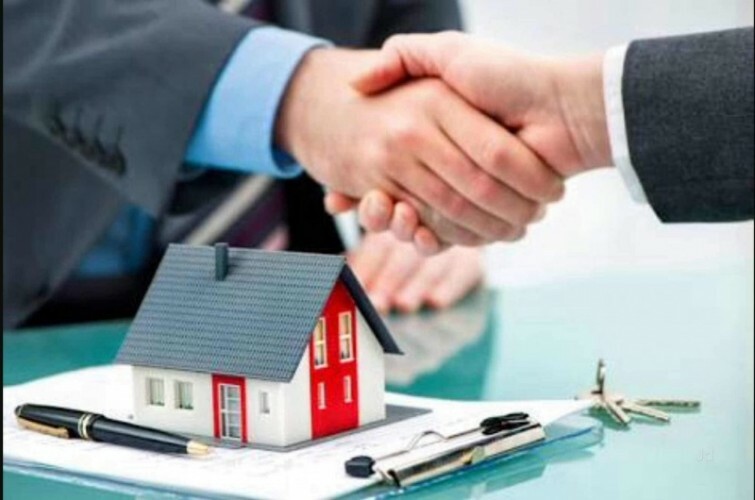 You may have only a few days or a week to find an investor once you have a signed contract, and the investor needs a property that sells fast to avoid holding costs. To make this work, then, you'll want a list of investors ready before you start looking for properties. You should also focus on the houses that are selling fastest - probably those that are near the median price for the area.